Which music streaming service is best? Gone are the days of lugging around a heavy Walkman or stack of CDs so you can listen to something other than the rumbling bus engine on the morning commute. Digital music players have been getting smaller and smaller, while their storage capacity has been getting bigger and bigger. Now, with the rise of the cloud, you don’t even need to carry music with you. All you need is your online streaming account login details to access your music collection on any device, anywhere, any time. Music apps can now store your music on the internet so you don’t need to take up valuable storage space on your phone. 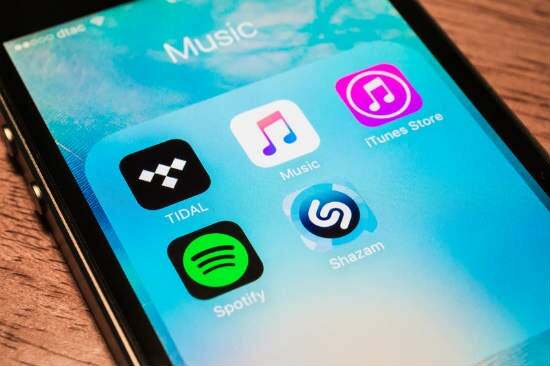 Recently the number of music streaming services has been booming, with many existing services going through major overhauls to keep ahead of the pack. Even if you already use a music streaming service, now is the perfect time to reassess your options. But what’s the difference between all of these streaming providers who do the same thing – give you access to music? It depends on your specific listening habits and what kind of experience you want. Let’s explore what makes a music streaming service good or bad. ‘Streaming’ simply means using an internet connection to listen to your music without having to actually download anything. It’s like the difference between reading a web page or downloading and reading a file, or watching YouTube videos instead of downloading a video. Why might you choose to stream over directly downloading your music just once? Streaming provides a more cost-efficient way to listen to a lot of different songs that doesn’t require you to fill up your phone storage. It can be easier to carry music saved directly on your phone, tablet or computer, to an extent. But storing music files can take up a lot of space, especially if you like to listen to a lot of music. This can be a massive pain if you also need space to take and keep photos, store other files, or just don’t have a lot of storage capacity in the first place. It also means that you need to keep a particular device with you whenever you might want to listen to music. If you forget your mp3 player, forget listening to music. Streaming over a Wi-Fi or mobile data connection makes it easy to listen to your favourite songs regardless of which device you’re using. You can easily switch from playing music from your mobile app during the commute to work, to listening on a web browser while working, and then play from your laptop or your streaming service-compatible speakers at home. It’s also expensive to buy a digital download or CD copy of every single album and song you want to listen to. While it might be pretty affordable to buy music from your very favourite artists, building up a large music collection this way can add up to a small fortune. It obviously goes without saying that illegally downloading music for free isn’t very good sport. Artists don’t exist to work for free. Compare this to streaming services, which cost just a few bucks a month to listen to as many different songs as you like. If you’re a more than occasional listener and like to listen to a diverse range of music, streaming can be a really cost effective choice. Most streaming services offer tools which suggest new music or create personalised playlists based on your listening habits. It’s also easier to try different music without forking out extra money to access something you might only listen to once. At face value, all music streaming providers seem the same – they all offer unlimited online streaming. But each service offers different features across the user interface, platform compatibility, offline access, social media integration and even the range of tracks available. A question that is often overlooked is whether a particular streaming provider has access to the music you want to listen to. The big players have massive libraries with a diverse array of genres, however, a number of major artists license only some (or none) of their music to streaming services, or are exclusive to a particular provider. For example, for the first 24 hours after Beyonce’s latest album ‘Lemonade’ was released, it was only available on husband Jay-Z’s Tidal platform. Tidal continues to hold exclusive streaming rights in perpetuity, and other platforms only provide the option to buy the album outright. Taylor Swift pulled her music from Spotify after being dissatisfied with the royalty payments and Adele completely boycotts music streaming. It’s a good idea to look into whether a streaming service has access to the particular artists you want to listen to before signing up for a subscription. If you have particular interests, particularly those that fall a little outside the mainstream, check that they have the kind of range you’re interested in. Apple wants to be the number one destination for all things music, so it acquired and rebuilt Beats Music in 2014 to compete against other streaming services. Apple Music combines on-demand streaming, integration of your existing iTunes library, an all-live worldwide radio station, and an artist-centric social network in one app. Like Apple Music, Google’s music streaming service is compatible with any device – with iOS and Android apps and a web player. Its big drawcard is that it comes bundled with YouTube Red, which allows you to watch videos without ads and access special exclusive content. Unlike Apple Music, you can upload and access your own personal digital music downloads collection to the platform regardless of whether you’re subscribed to the streaming service. With a similar user interface to iTunes, you can use Spotify either by linking onto your Facebook account or creating a dedicated Spotify account. The premium service gives you ad-free music streaming and allows you keep accessing your music outside of your profile country if you travel. After being purchased from its original Norwegian owners by Jay-Z, Tidal became the first streaming service owned by recording artists. A major perk is its exclusive content from its owner-operators, including Rihanna, Daft Punk, the White Stripes, Madonna, and more. There’s also been a number of major releases that came out on Tidal before any other streaming or download service, such as Beyonce’s recent album ‘Lemonade’ and Kanye West’s ‘The Life of Pablo’. The other key feature is the high-quality audio available to premium subscribers, which far surpasses that of its competitors. Once upon a time, Pandora was one of the world’s major players in music streaming – unfortunately for Australian and New Zealander music fans, the streaming service shut down in both countries as of July 2017. Tough competition with the likes of Spotify and Apple Music ended up making it unviable to keep going in Australia and New Zealand. Former Pandora subscribers now need to weigh up which of the remaining streaming services to switch to. How much does music streaming cost? Some music streaming services offer free access with limited features and some advertisements, with a paid subscription taking away ads and providing full access to the service. Most of the major music streaming services available in Australia cost around the same amount. Tidal has a more expensive tier to access superior sound quality. Prices are in Australian dollars. How to choose a streaming service? Music streaming is a rapidly growing and changing technology, so the range and quality of music services can change relatively quickly. The services we compared above certainly aren’t your only options – they’re just the most popular at the moment. Do I want a family plan? Will I want to be able to access my music overseas while travelling? Do I want to upload, store and play my own collection? Is the music I want to listen to available in the streaming library? What features do I want in my music streaming service? Which music app is easiest for me to use? Which phone plans include music streaming? 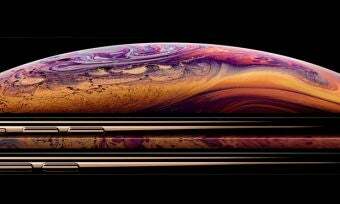 A number of phone plans include data-free music streaming, so you can listen to your heart’s content without chewing up the month’s data allowance. Optus postpaid SIM only (both 12 month and month to month) and 24 month phone plans include data-free streaming from Google Play Music, iHeart Radio and Spotify mobile apps. On occasion the telco also offers limited-time data-free music streaming for prepaid customers. Virgin Mobile doesn’t offer any permanent data-free streaming inclusions with its plans, however it does offer limited-time data-free streaming for Spotify, iHeartRadio and Google Play Music for some plans from time to time. Telstra has an exclusive partnership with Apple Music in Australia, with access to a six months free Apple Music membership for both new and existing Telstra customers. Consumer plans also include data-free Apple Music app streaming. These offers can be subject to change, so keep an eye out for any special offers or changes that you could take advantage of. It’s also likely that more providers and plans will jump on board the data-free music streaming bandwagon as data offerings continue to improve.